Given all of the civil unrest currently going on in Ukraine, you might expect that railway operations aren’t running as smoothly as they used to. 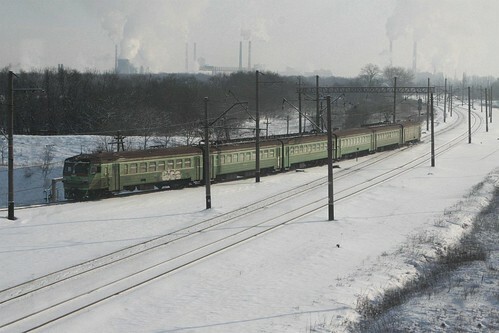 State Railways Administration of Ukraine Ukrzaliznytsia in 2013 seen a record high number of cases of interference in the work of rail transport over the past five years – 260 cases, which is 35% more than in 2012. As a result of illegal actions by citizens, some 484 trains were delayed for 411 hours, and damages amounted to UAH 750,560. Last year, 34 messages about laying explosives at stations and other infrastructure facilities, nine messages about explosives in rolling stock were received; and 45 Second-World-War-era explosive devices were found in rolling stock and infrastructure objects. In addition, 12 cases of violence against rail staff members and five cases of throwing objects at trains while in motion, or at other rolling stock were recorded, which resulted in personal injury. Beyond bomb threats and violence against staff, the Ukrainian Railways have also had to deal with more ordinary concerns such as theft. The theft and damage to rolling stock and infrastructure objects grew significantly, which led to a break in the movement of trains of over 30 minutes or detachment of wagons en route – 98 cases against 48 in 2012. In addition, outsiders blocked off train traffic 21 times, which is 2.1 times more than in 2012. Seven cases of theft of goods from wagons that led to a break in the movement of trains for over 30 minutes were recorded. Given the above statistics are all from 2013, I wonder what the rest of 2014 will bring. 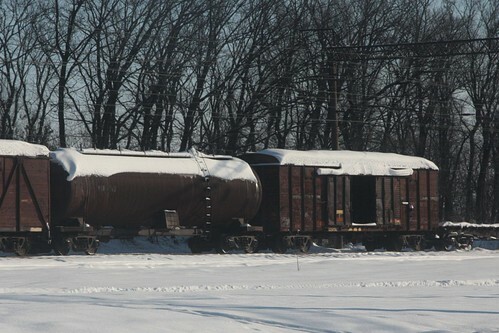 This entry was posted in Trains and tagged emergency services, freight trains, police, railways, Ukraine. Bookmark the permalink.